The two numbers  202-322-1190 and 202-340-2590  would be manned by senior embassy officials round the clock, officials said on Friday. The US Immigration and Customs Enforcement or ICE, till Thursday, had arrested 130 students from the fake Farmington University in Greater Detroit area. The ICE officials said 129 of them are Indian nationals. The fake university was opened by Homeland Security Investigations to trap those involved in illegal student visa racket. It has now been closed. The arrest of such a large number of students has created panic among the Indian students. Federal investigators say, the students who took admission in the university knew that the university programme was illegal. Officials said all of them face deportation, besides being put under detention. From their names it appears that all of them are either Indian nationals or Indian-Americans. "These suspects aided hundreds of foreign nationals to remain in the United States illegally by helping to portray them as students, which they most certainly were not. HSI remains vigilant to ensure the integrity of US immigration laws and will continue to investigate this and other transnational crimes," said Special Agent Charge Francis. According to the ICE, in 2017, as many as 249,763 Indian students were enrolled in the various American universities. Students from China topped the list with 481,106 in 2017. This is for the first time probably that such a large number of Indian students have been arrested in one go. This intervention by officials from the Indian embassy and its consulates has helped in release of some of the arrested students. Some friends and families of the detained Indian students are using twitter seeking help from the External Affairs Minister Sushma Swaraj. "Madam, This is regarding fake university (university of Farmington Michigan) issue. My husband has been taken into custody today morning and I don't have any update on his status till now. Could you please help me on this," one Madhuri wrote on twitter to Swaraj. Acting promptly, the Indian embassy sought the details of her husband. Her husband was a student at the fake university. "Hi, I have mailed to Indian embassy and they told that they are trying to meet my husband through consulate. After that I didn't get any update from them," Madhuri wrote on twitter in response to a question. In New Delhi, Ministry of External Affairs Spokesperson Raveesh Kumar said, "We are aware about this incident. We are ascertaining more details (through) our embassy in Washington and different consulates in the US. 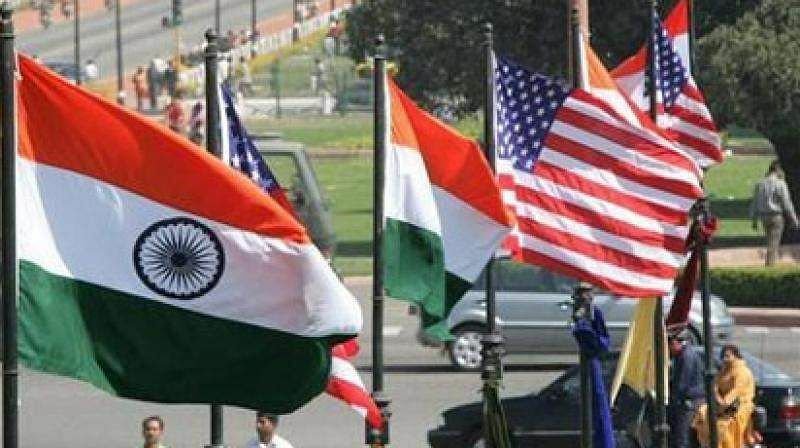 .We have also mobilised the Indian community organisations in the US to extend all possible support to the Indian students who are affected by this incident".